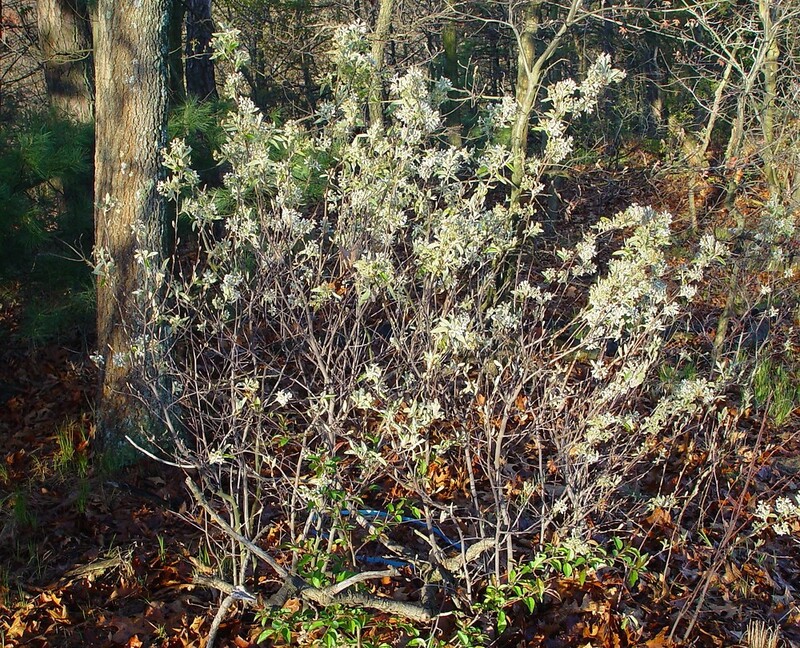 Amelanchier spicata.Arthur Haines.New England Wild flower Society.gobotany.newenglandwild.org (Accessed 7/2014). 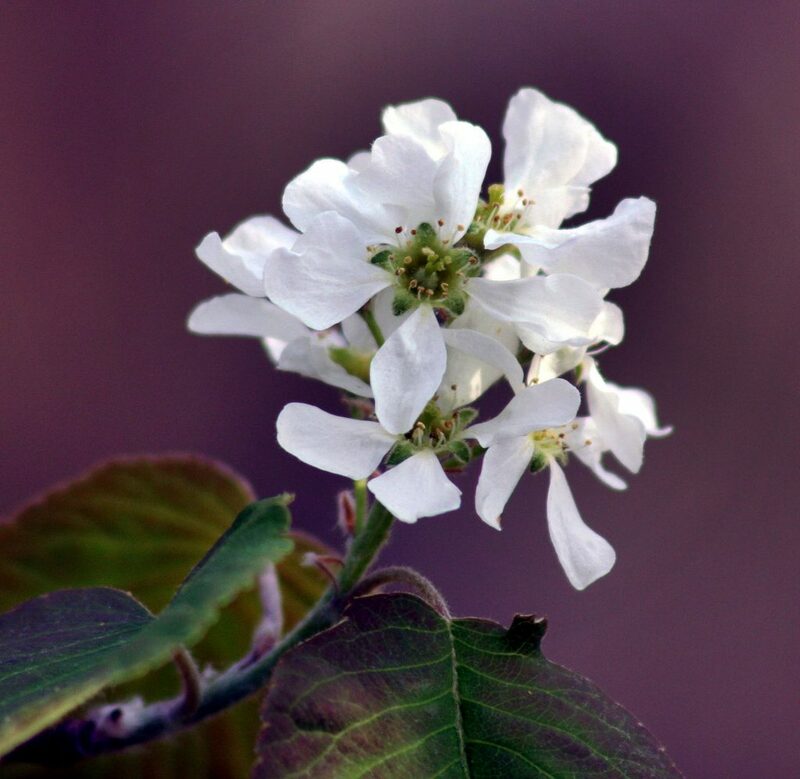 Amelanchier spicata is a shrub to 1.5 m tall, usually shorter, colonial by underground stems, bark gray, smooth, winter buds 0.5-0.7 cm long dull reddish. Leaves egg-shaped to elliptic, to 5 cm long, 3.5 cm wide, tip mostly rounded, margin finely toothed, pale below, young leaves white wooly-hairy below, becoming smooth. Amelanchier spicata flowers. By Hardyplants at English Wikipedia – Public Domain, https-//commons.wikimedia.org (Accessed 8/2017). Flowers white to about 2 cm wide; blooms May. Fruit fleshy, turning blackish, juicy, June-July. Fruit eaten and seeds dispersed by many birds and small mammals, also by bears, raccoons, coyotes, foxes, skunks (Wilson 1993). 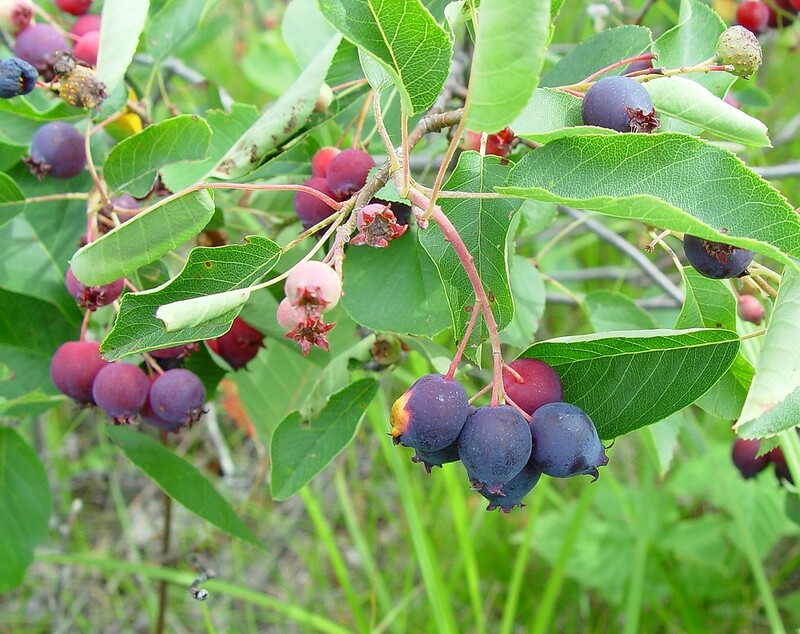 Amelanchier spicata fruit. By Arthur Haines. Copyright © 2017. New England Wild Flower Society. gobotany.newenglandwild.org (Accessed 8/2017). Habitat: Moist to dry woods.